2017 is apparently the year of the podcast but if you, like me have been listening for years you might be left wondering why it's taken so long for the rest of humanity to catch up? There are shows out there about every subject you can think of (and then some) but today I'm sharing my Best True Crime Podcasts - in no particular order. This is where the true crime genre started for me after stumbling upon a couple of episodes about my all time favourite serial killer Jeffrey Dahmer. They have episodes on all of the heavy hitters along with demons, aliens and a spattering of cults all twisted up to make something that you really shouldn't be laughing at. Entertaining, very funny and highly addictive despite the dark subject matter. Widely regarded as the leading true crime podcast. Serial season 1 has been downloaded over 68 million times. The twelve episode season investigates the murder of Hae Min Lee, an eighteen-year-old student from Baltimore and the ensuing trial debacle of her accused murderer Adnan Syed. It's an addictive, must download, sorry tale for everyone involved. Follow on Twitter & Facebook. Listen on iTunes. Currently at the top of my favourite podcast list. Real Crime Profile takes a completely different route and honours the victims of cases where the accused's stories have taken the voice. 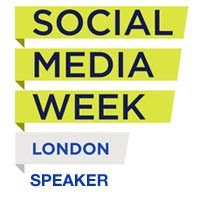 Hosted by Laura Richards (formerly of New Scotland Yard and Founder of Paladin, National Stalking Advocacy Service), Jim Clemente (former FBI profiler) and Lisa Zambetti (Criminal Minds Casting Director) they take an in-depth look at all aspects of the cases they cover including profiling, investigation and trial. I have to say that their series of episodes on the Meredith Kercher murder totally changed my view on the guilt of Amanda Knox. Don't take for granted what is printed in the mainstream media people! Follow on Twitter & Facebook. Listen on iTunes & SoundCloud. Hailed as Australia's first True Crime Podcast, Casefile really doesn't disappoint. Famous Aussie cases such as Katherine Knight, Snowtown and the Family Murders are interjected with cases from around the world. Whilst I love my 'heavy hitters' and famous local crimes, it's great to discover new cases and especially in a soothing Australian drawl. Start from episode 1 and binge listen to them all! Dark and often unsettling, Sword & Scale covers some of the most disturbing, ugly, crimes imaginable. Well researched and highly addictive, you may find yourself binge listening yourself into shadowy corner but boy is it worth it. One of my favourite episodes is the shocking tale of Claudinnea 'Dee Dee' Blancharde and her disabled daughter Gyspy. If you enjoy that episode keep a look out for the HBO documentary on the case coming soon. Court Junkie host Jillian LP covers a range of interesting cases by sinking herself deep into investigations and the resulting trials. Well researched and well produced. Throw yourself in at episode one rather then dibbing in and out so you can catch updates on cases already covered. Follow on Facebook. Listen on iTunes & Stitcher. New Podcasts to look out for..
Wine & Crime Podcast - This recently popped onto my radar but with a name combining two of my favourite things I have big hopes for this brand new show. Follow on Twitter, Facebook. Listen on iTunes & SoundCloud. S-Town - New from the makers of Serial and This American Life. It promises to be another addictive plot with many twists and turns. I've also just discovered Up and Vanished. I've just about finished binge listening the first season and it's a must one to add to your regular listening. Focussing on the unsolved missing person case of Tara Grinstead, it's packed with twists and turns that will have you hooked be the end of the first episode. Fantastically narrated and beautifully produced. This case and pod are must follows. Follow on Twitter & Facebook. Listen on iTunes & Spotify. Do you have any other true crime podcast recommendations? Please leave them in the comments. I know that I say this every year and at the risk of sounding like a stuck record, Camp Bestival 2016 was simply awesome. Here's a rundown of my favourite bits. From the culinary delights of the Feast Collective to sausage pops and noodles back at camp, the food at Camp Bestival never fails to impress. 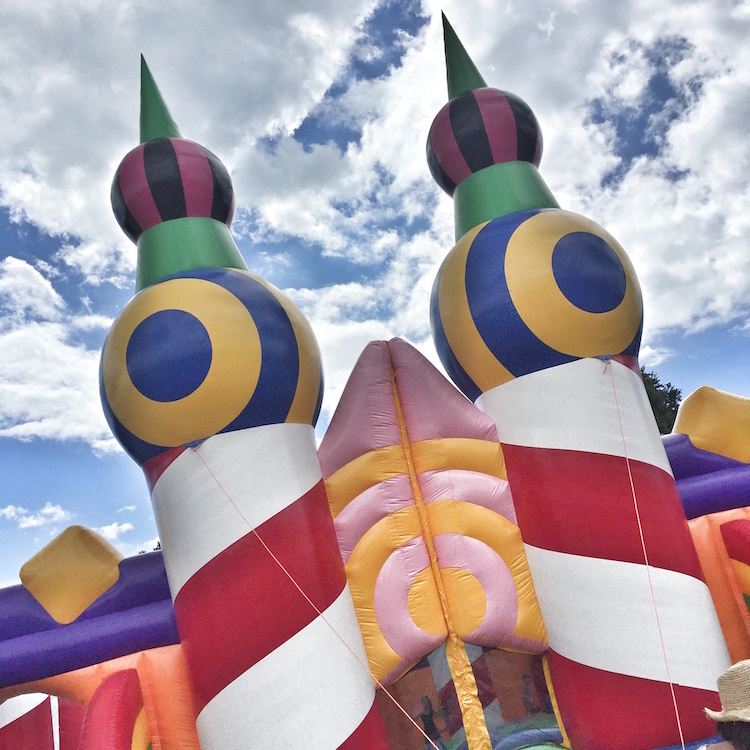 We all have our staple festi-favourites but did we did expand our horizons this year and managed not to polish off 11 pizzas like we did last year! The queue looked scarily long but we decided to hit it early on Sunday morning before the festival got into full swing. We queued for about half an hour. When I say we, I really mean everyone except for me as I decided on a cocktail for breakfast and well, someone needed to film it didn't they? I'm not one for dressing up but I loved seeing all of the space themed costumes at this years festival. Alien families, Star Wars families, Dr Who, ET, space ship wagons, Dr Who... some of them were epic and obviously took hours to make. Very impressive and something I can only aspire to. If you've never been to a silent disco you are quite simply missing out on one of music's greatest inventions. Two live DJ's play different tunes and you choose which one you listen to via your headphones. Simple and fabulous. The secret is obviously getting out because the queues for this years silent offerings were epic. Even when we wearily made our way back to camp at 2.30am the queue was still weaving across the field. 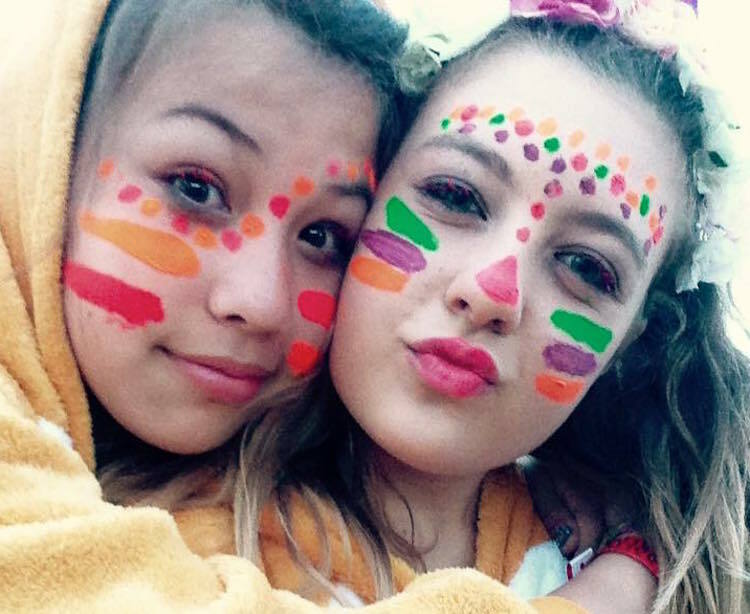 For me Camp Bestival is all about time with my friends. We don't live close to each other and we don't see each other nearly enough. I love how are little crew are all solid friends and from the moment that we rock up in the car park we are working as a team. 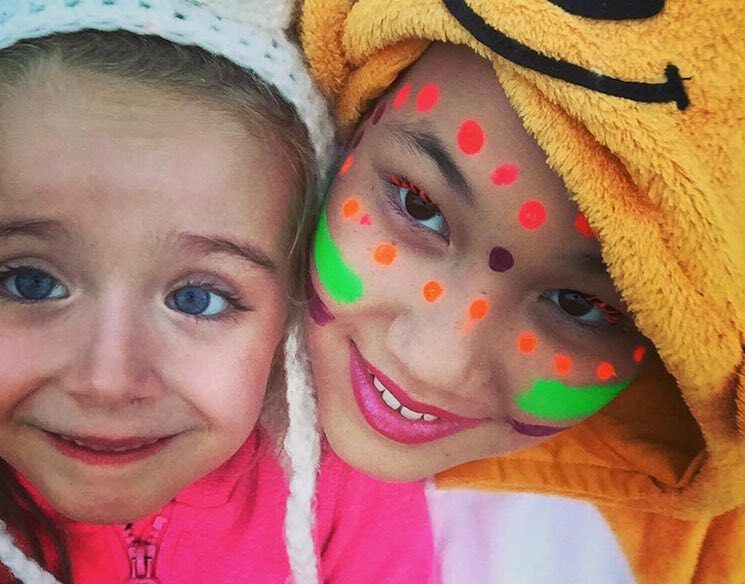 It's not just the adult friendships, our children all love each other to bits too. My teens pitch in looking after the little ones whilst they look up to them in awe. In all honesty, I don't think I would enjoy the festival as much if I wasn't with my crew. They are quite simply the best people to share the experience with. 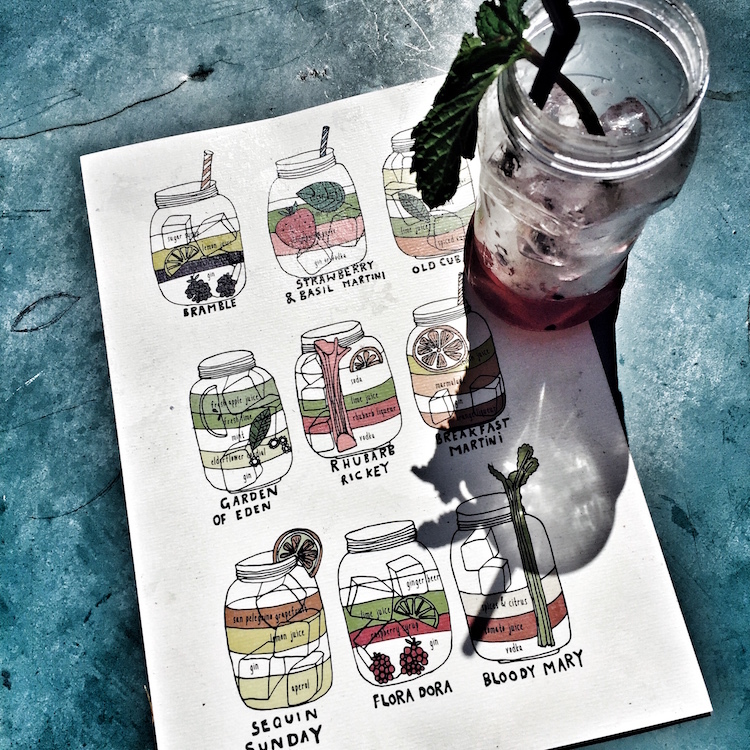 I'm not sure how it happened but I didn't get to the Jam Jar bar until Sunday morning. A breakfast martini later and balance was restored! One of the weekend highlights was our little Oz taking to the decks to perform his summertime DJ set over at the First Choice Holidays Holiday Island. He literally lifted the roof with his cuteness overload and made us all extremely proud. Having met the Scummy Mummies at the Brancott Estate #VirtualVines party on Thursday night their Saturday show really didn't disappoint. If you aren't familiar with their work and like a good chuckle they really are worth checking out www.scummymummies.com. 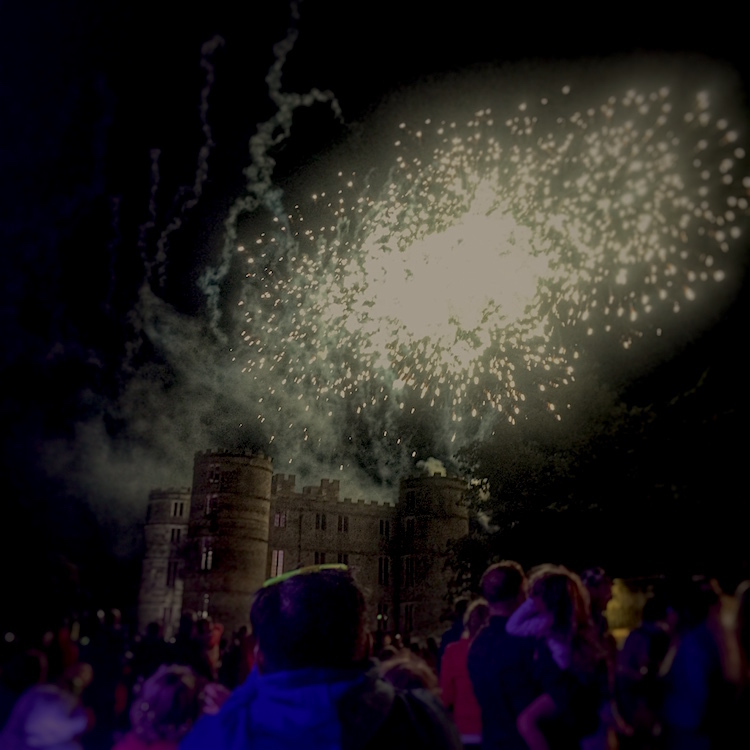 The fireworks are without a doubt one of the Camp Bestival highlights and something that we all look forward to. This year with a ban on trolleys at the main stage we decided to hang around by the big wheel. Whilst the view was great we couldn't hear the audio which was a shame but at least we know that we need to get a better spot next year. We chat all day, every day but with work and family commitments the distance between my best friend and I might as well be a million miles. 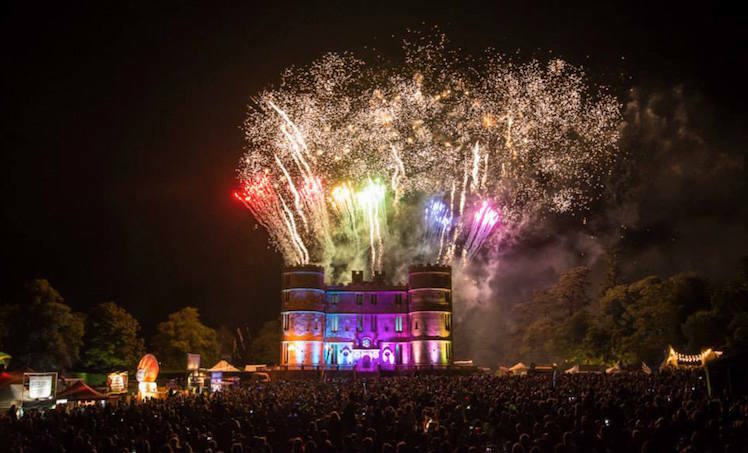 Over the last few years Camp Bestival has become our annual get together and for those five days we spend as much time together as possible. We stay up late, we wake up early, we dance, we talk the utter crap that only each other will listen to, we drink, we cook and we laugh - a lot. I couldn't ask for a better best friend. 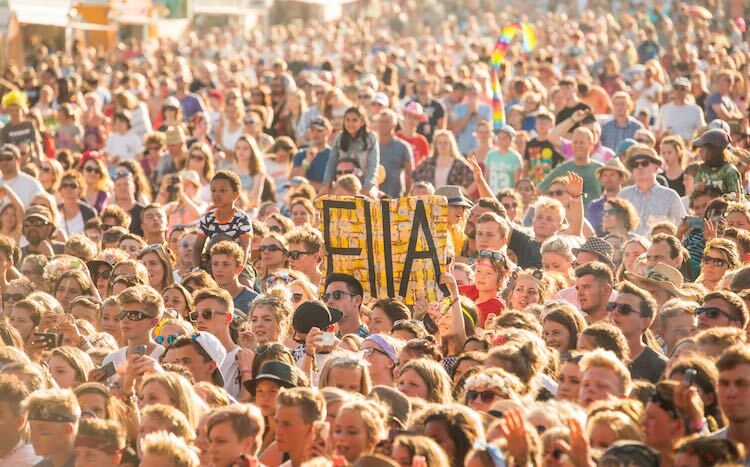 Camp Bestival 2017 early bird weekend tickets are on sale now. 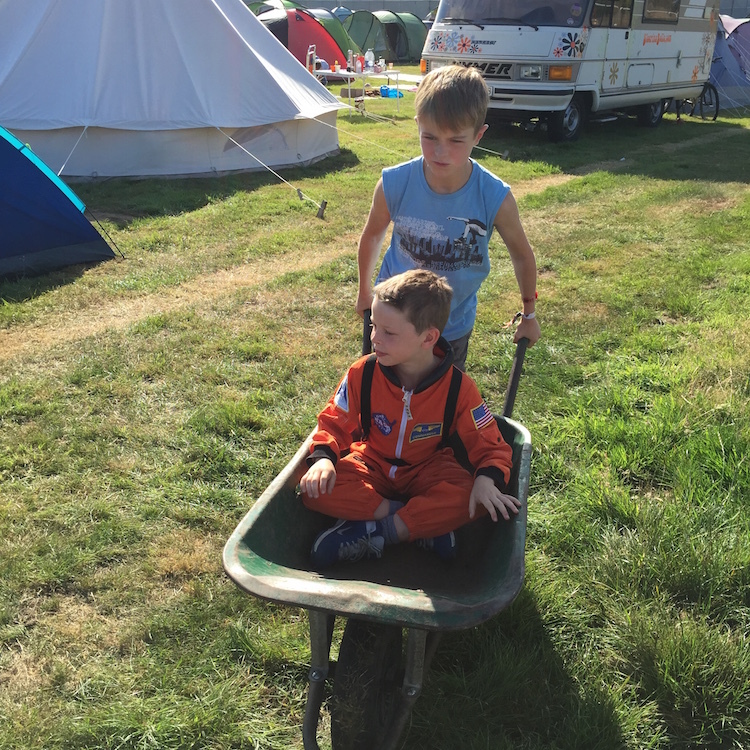 As a Camp Bestival official blogger I was given a family weekend ticket to attend. However, all views are my own. 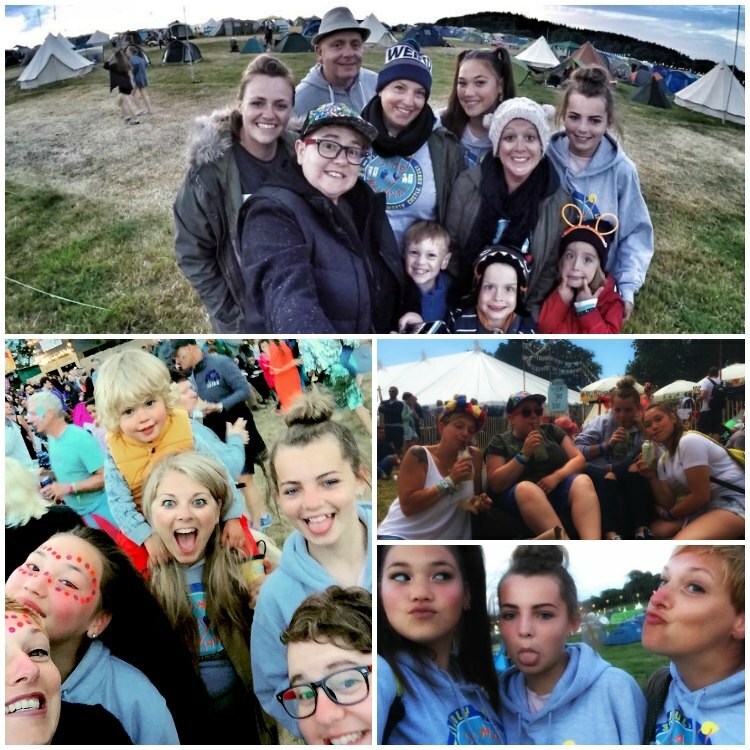 If you would like to read more about this years Camp Bestival head over to My Two Mums & Just Me Kirsty. 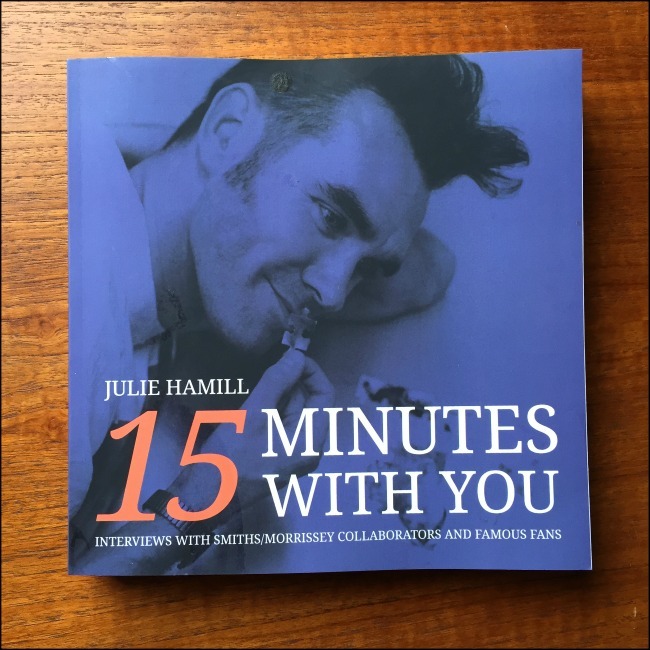 It has to be said that I'm partial to a good book and the most recent addition to my collection, 15 Minutes With You by Julie Hamill doesn't disappoint. The fact that Morrissey has managed to remain somewhat of an enigma, is just one of the reasons that my love for him has done nothing but grow over the last thirty years. I'm with the author in never wanting to intrude or wade through his rubbish. But like countless other fans, I want to know everything about him. I want to know who the real Morrissey is. In 15 Minutes With You, Hamill pulls together twenty-four, easy to digest interviews about The Smiths and Morrissey, from a host of famous fans and music collaborators. I love this book. It mades me feel like I'm 15 again with a copy of Strangeways, Here We Come (vinyl) in my hands for the first time. Warm, witty and beautifully packaged in a touchy-feely soft jacket. 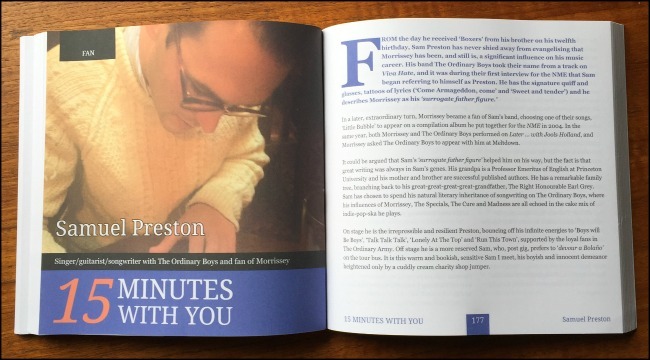 It is worthy of a place on any Morrissey fan's coffee table. If you don't already have a copy, get it on your Christmas list. 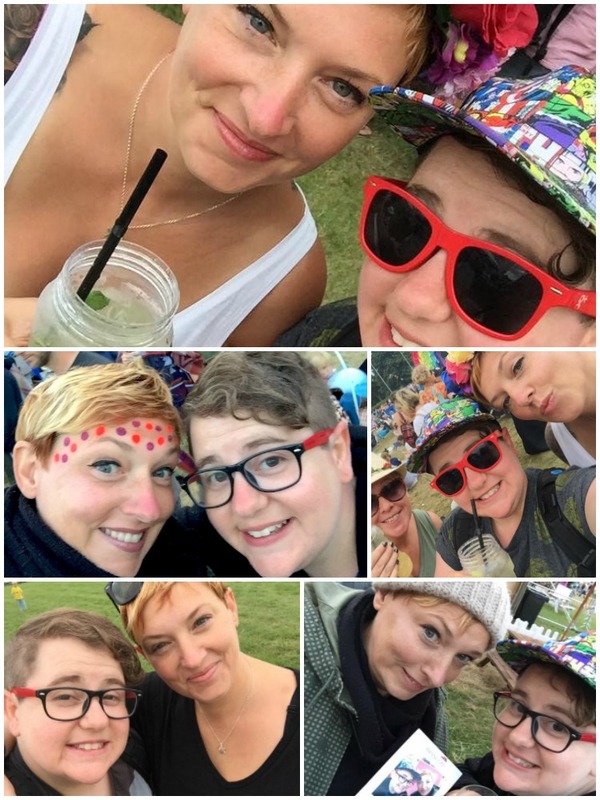 After four days of awesome it’s not easy to pick out your two favourite moments from a festival that has so much packed into it but that's exactly what I asked of my Camp Bestival, camp mates, from this weekend. We are a diverse bunch, aged from 3 to 43. 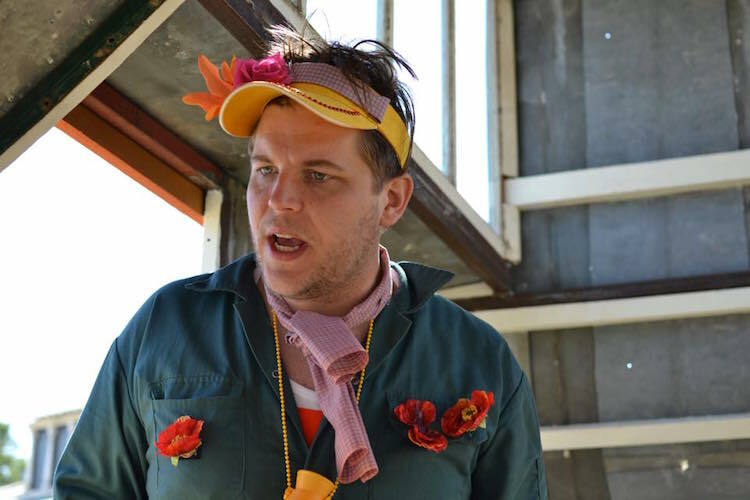 Proving that Camp Bestival really does have something for everyone. I really liked watching Ella (Henderson) sing and making pom poms with my friend Betty. I loved Professor Green and a close second has to be the pasta from Red Tomato, Green Pepper. Camp Bestival just wouldn't be the same without it! Clean Bandit were awesome. We were right at the front and completely caught up in the audience vibe. After six hours of standing in the same spot we made our first new festival friends too. My second favourite thing was the pizza. You know I had been dreaming about that pizza since last year's CB! I need to have three things though because Professor Green was also pretty amazing. Clean Bandit were awesome. The food was pretty good too! I absolutely loved the Train Of Thoughts. It was a brilliant idea and the guy leading our carriage was mesmerising. He had both me and my three year old son hanging on his every word as we were taken on a journey of discovery and wonder. My second fave moment was dancing with my little fella to Professor Green on Friday night. Smiles and laughter all the way. 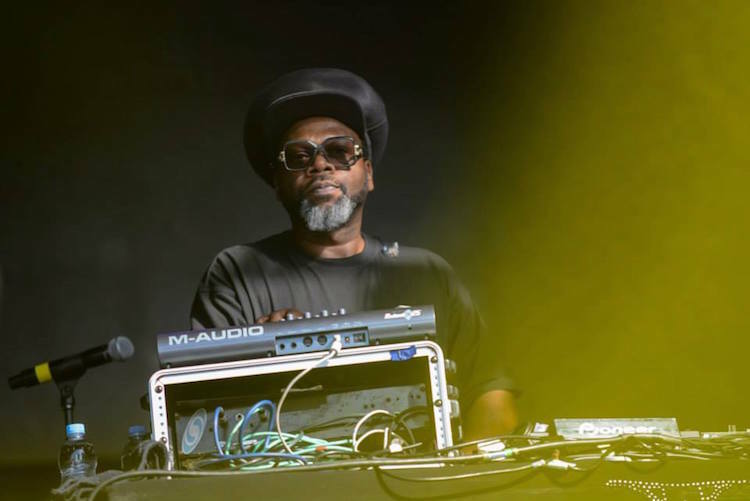 I was really looking forward to Soul II Soul and they didn't disappoint. They were all kinds of awesome and more. 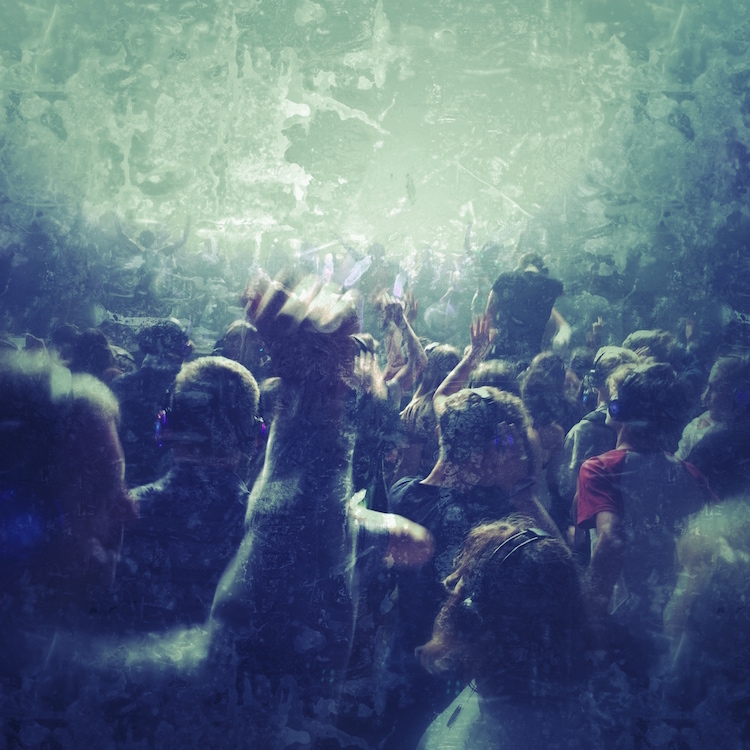 I also loved Underworld and watching the littlest ravers that I've ever seen, dancing around with glow sticks - it truly was music for all ages! This was my first Camp Bestival and to be honest, it is really hard to choose just two things as the whole weekend has been brilliant. Music wise, Clean Bandit were awesome. 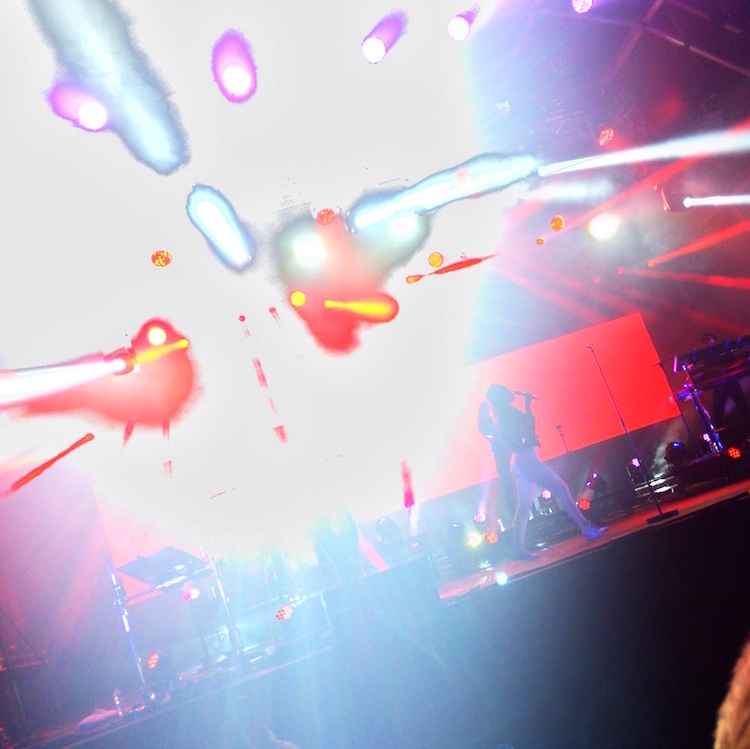 We were right at the front with a perfect view that really couldn't have been better. The food has also been fab. You seriously can't make me choose one thing. Okay, maybe the nachos. Or the Thai curry we had on the first night... and the hot chocolate. 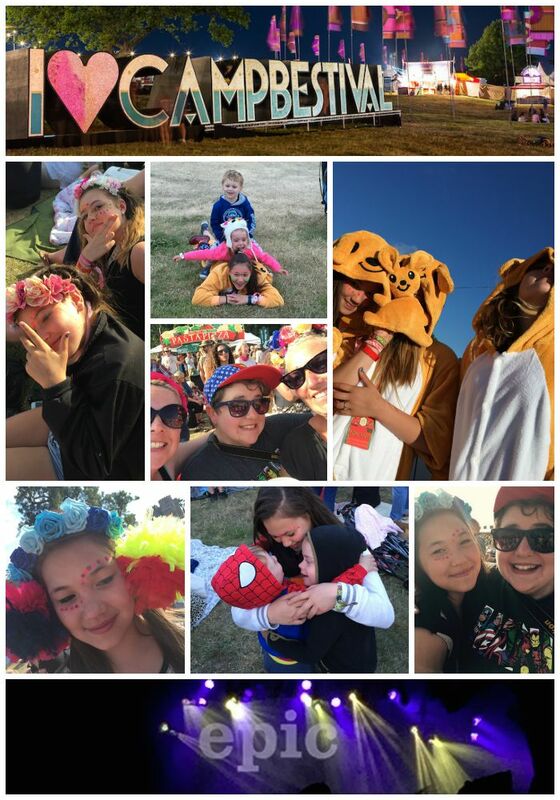 I loved Friday's Silent Disco! There's nothing better than old school tunes and throwing down some shapes with your buddies at 2am. 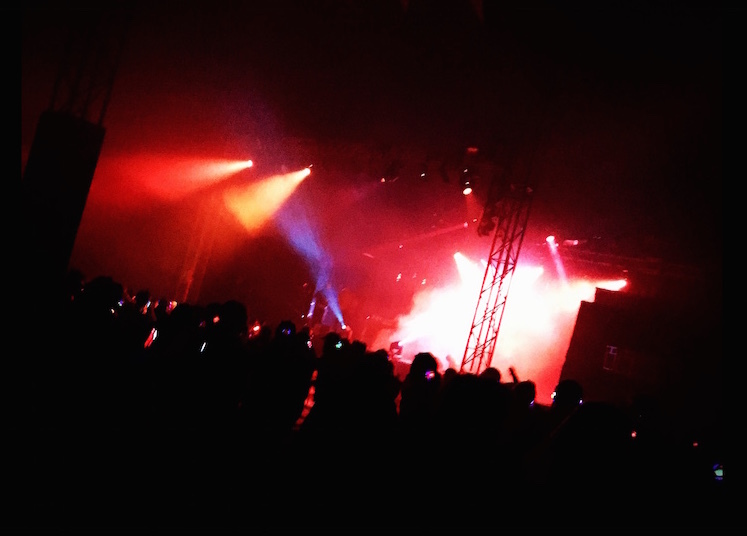 My second favourite thing was Saturday night’s Silent Disco, (yes I know I already chose the Silent Disco but...). I was supposed to be meeting up with some friends after we had all been for a nap but no one else woke up. After waiting around for them I decided to go on my own and I am so pleased that I did. The fireworks and the Train of Thoughts tractor ride! I loved dancing with my friend (LM) but most of all I loved drumming along to all the singers on the main stage. 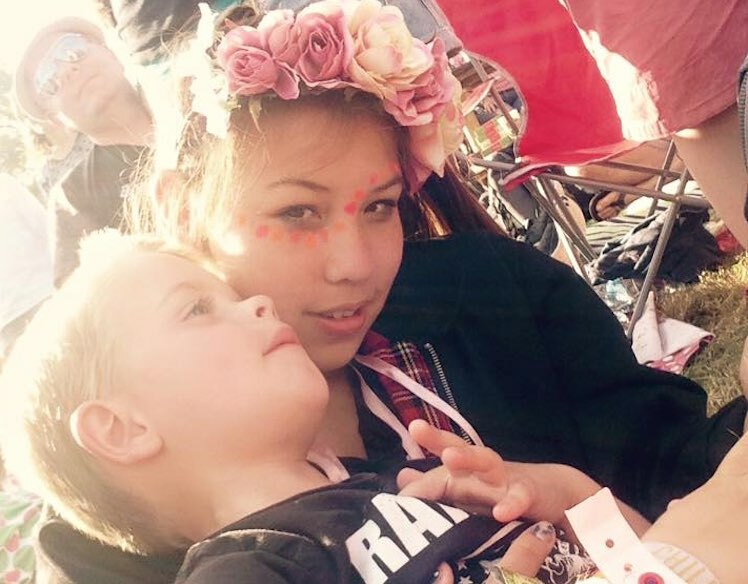 When I'm big I am going to be in a band with my sister (B 5) and then we will be on the stage at Camp Bestival one day and you can all watch us. The feeling of completeness when Ella Henderson sang Ghost. Although I don’t really like her as an artist there was a fantastic moment when I was caught up with the emotion of the rest of the crowd. That’s what gigs are about. A close second was Bob Geldof singing I Don’t Like Monday’s. A great song, performed by a great performer. I collect those moments. I loved the fireworks, they were really cool and the best music was The Cuban Brothers. Well for me Camp Bestival is all about the time spent with my friends. 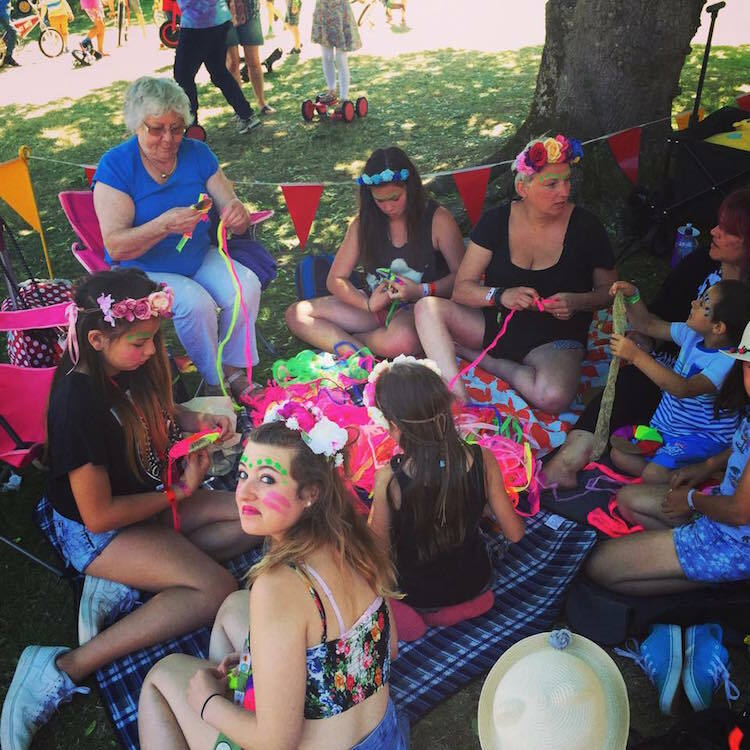 The singing, the laughter, our fabulous children and the joy that they bring out in each other, our competitive pom pom making, our non sensical conversations and the food, drink and memories that we are making. Of course none of that would be quite as awesome if it wasn't playing out to the Camp Bestival tune. When they say that it's 'The greatest show on Earth', they aren't exaggerating. If anything they are under playing because Camp Bestival is simply out of this world. 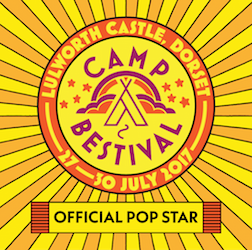 For information on Camp Bestival 2016, please follow them on Facebook, Twitter, Pinterest, Instagram, YouTube or on their main website. 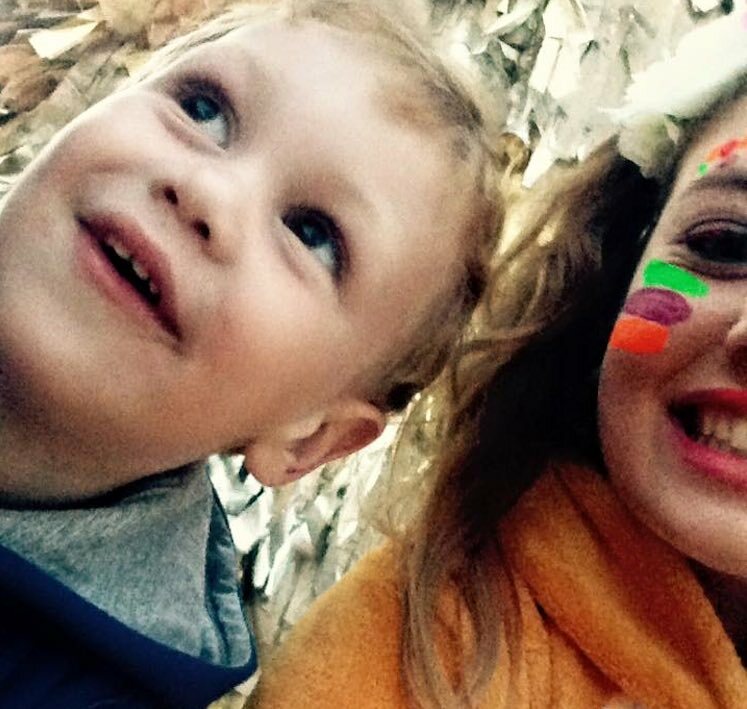 If you would like to read more about Camp Bestival 2015, please do pop over to MyTwoMums. 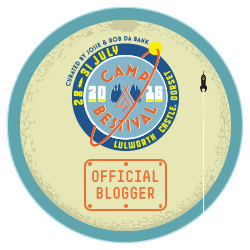 I am an official Camp Bestival blogger which means that I attended the festival but did not pay for my family ticket. All opinions are my own.